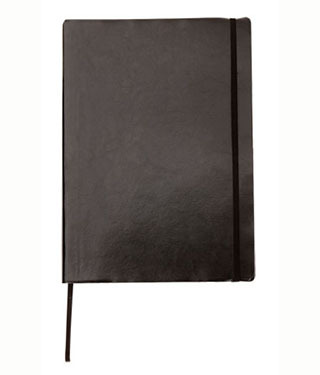 Soft PU notebook, black soft PU coated with coloured black edging to give it a more sophisticated look and rounded corners. Inner: 80g, 120 sheets cream paper, 1 color lines printing,black printing on the side. With black ribbon mark and elastic.